I am not suggesting to cut down any of the details of a T-BHP offical review. As GTO said, the review thread will be a reference for the next few years, not just for those looking to buy the car, but also for owners themselves. I think for all such queries we usually have a dedicated thread which is closed once the official review thread is live. I don't think there is any point of doing the releases in phase. The crisp information which anyone considers while going for a newly launched car is already there in such threads. 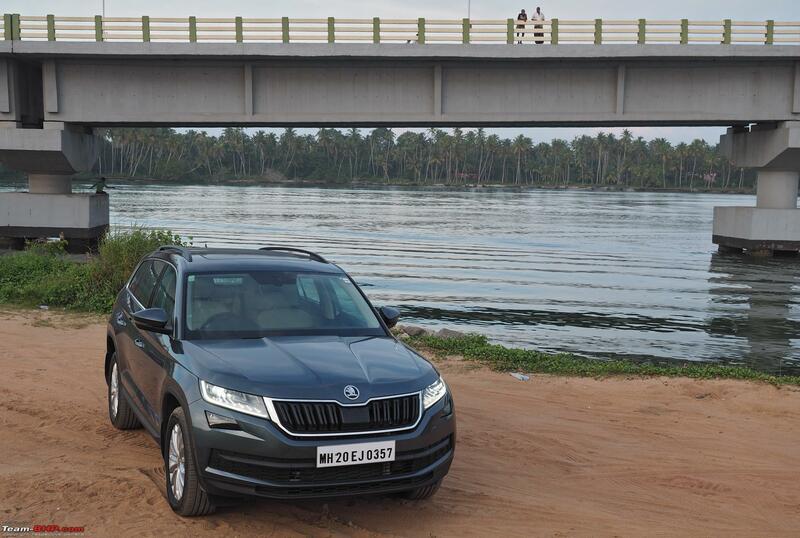 Example: The Skoda Kodiaq. 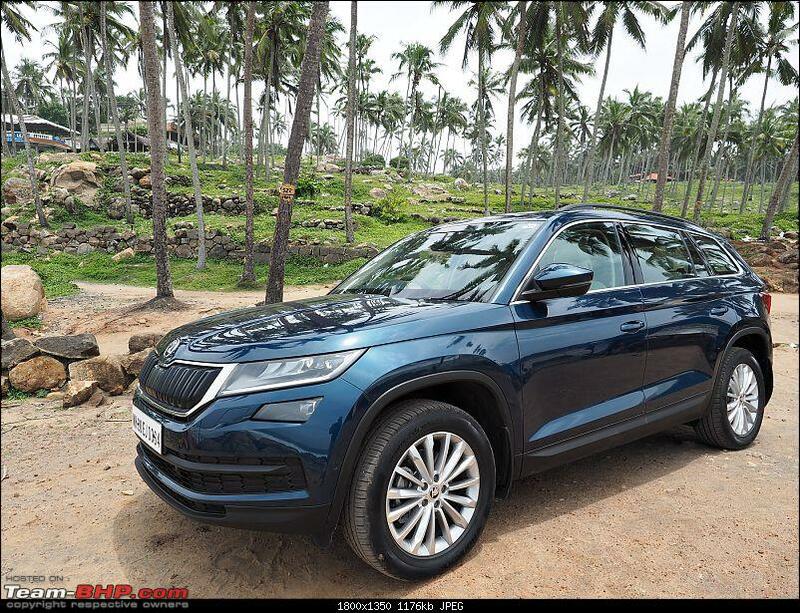 EDIT: Now launched at Rs 34.49 lakhs this was the original thread for discussions regarding Kodiaq. Trust me you will find almost all information which is required to make decision in initial phases. 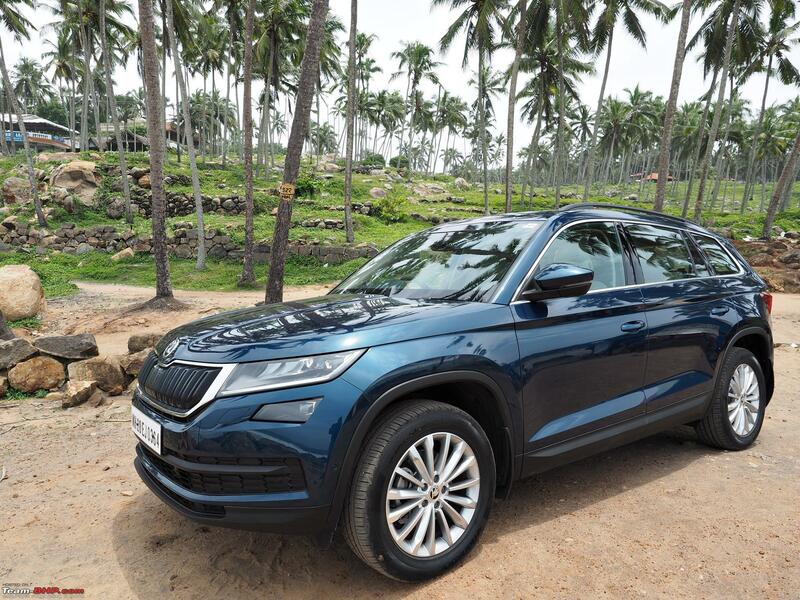 It also contains the test drive and initial impressions of our fellow Bhpians which can serve the purpose till the official review is rolled out. As detailed a review as it can get. Can only imagine the amount of efforts that goes in publishing a review here at Team-BHP! I have also mentioned this in other Kodiaq thread - the small and very simple features brings in a lot of feel good factor about this car. So great work done there by Skoda. I think this is a perfect deal for the people who would want luxury and premium-ness but not want to flaunt about it at the same time. MashAllah what a car & what a review! This Kodiaq is not an Laurin & Klement as yet, but still feels like a proper Skoda L&K! Needs Optional 4WD, Bigger engine & Ventilated seats. That's enough to plonk in 48-50 Lakh OTR (assumed L&K) price for me without batting an eyelid. The functionality & level of detailing this car/Suv offers is astonishing to my eyes. When was the last time I sat in a Euro car & felt wow? The Octavia vRS, back in 2005 due to engine & Interior quality/finishing touches and no similar alternative for that price. Thereafter the Jetta/Laura/Passat and Audi Q3/Q5, BMW 3/5 (pre-owned) through 2 generations all felt like clones with no distinguishing element save the engine tune. Except the current E Class, i feel no current Euro car is worth that 60+ lakh kinda money, & IMO the Kodiaq is delivering a fully functional similar experience (quality wise) for a much lesser price without the market offering something matchable. 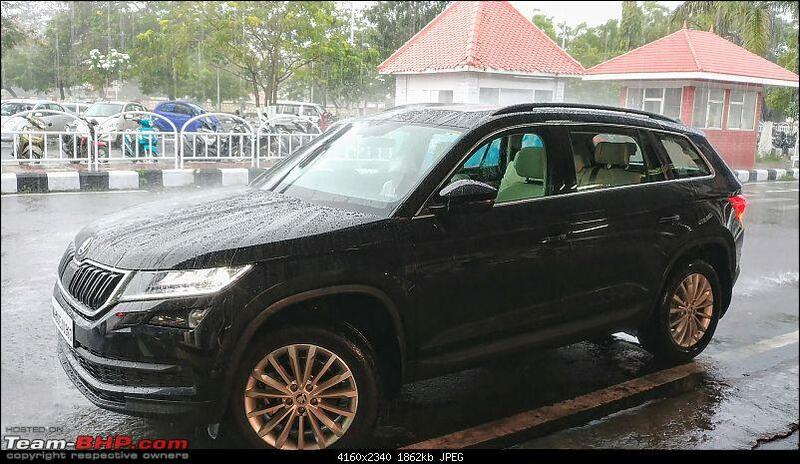 Tiguan maybe 0.5 Million INR down, but just offers a similar panaromic sunroof & bigger fuel tank. Last edited by Ford5 : 28th December 2017 at 19:13. They say beauty lies in the eyes of the beholder. 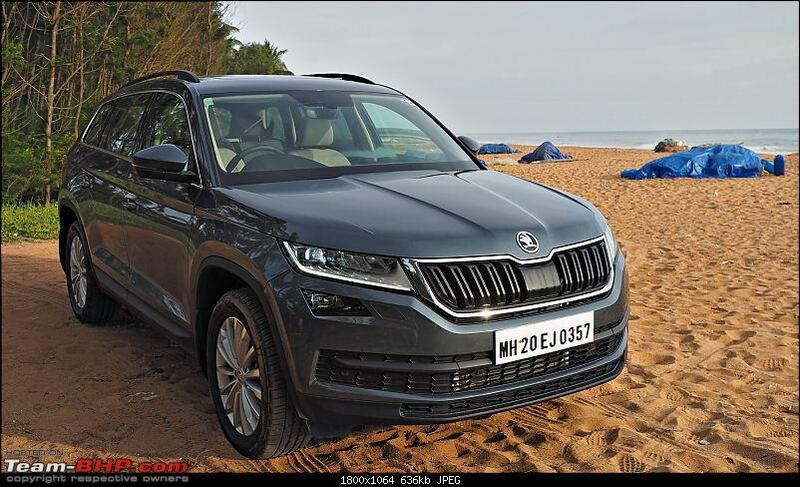 I can't agree more as this is one area where I am not in agreement with the OP's opinion that the Kodiaq doesn't have much street cred or presence. In my books it is probably the best looking SUV by far. It looks good from any angle and that is a rare quality. It's understated good looks coupled with subtle styling cues like the rear lights at night and the side profile makes it quite appealing. However, would I buy it? NO. Because it is only adequately powered and that is a big let down for me personally. I could live with styling that's not too good and far less features but not with power that's just adequate which is another way of saying slightly under powered. 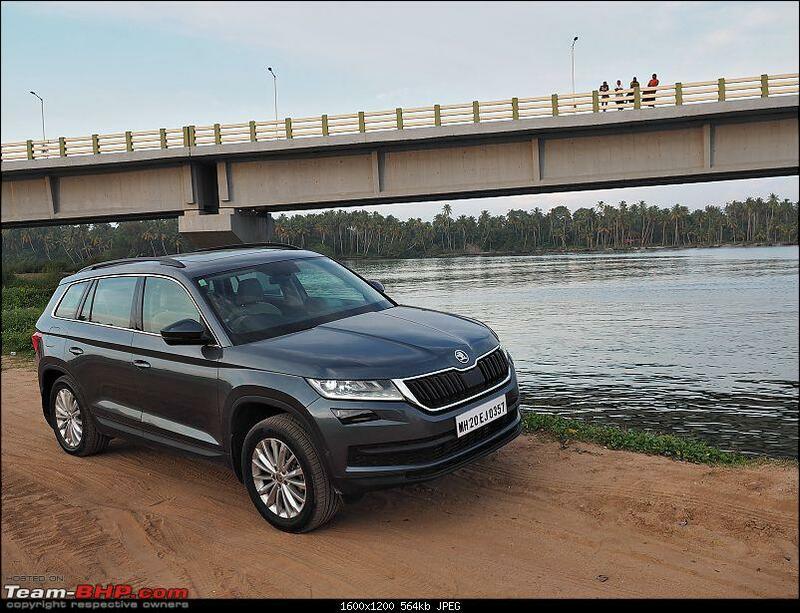 So the Kodiaq loses out on the desirability quotient just for that reason. But for most people this should SUV should tick the right boxes. Whew...such a detailed review and to think I struggled to put down my initial review at 1/10th the level of details for over 2 months or more. As for the vehicle itself, it is a very tempting proposition for SUV enthusiasts but unless one is busy hauling 7 folks every other day, I believe Tiguan is a better choice. Tiguan is cheaper (never thought one would hear this for Tiguan! ), same impeccable build and more tuned for city driving (in terms of size). 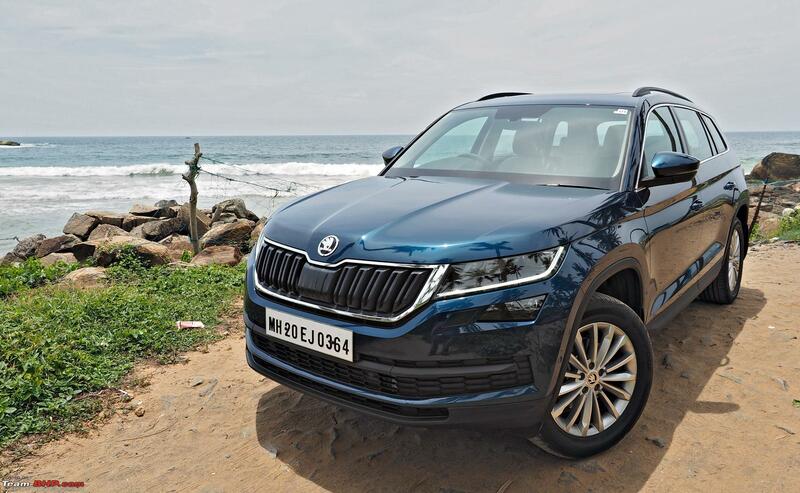 However, with the presumable mechanical/electrical gremlins not being present in the form of the new gear box, it would be very interesting to follow a long term ownership review of Kodiaq. Something on similar lines of what I would be living through the vRS. Great review. Makes one go out and buy the Kodiaq immediately. I have test driven it twice and loved it to bits. Butttttt... Have been delaying the decision due to the unreliable Skoda service support and poor quality of the critical parts such as gearboxes and water body. And also due to the fact that I have been driving consecutive Toyotas since 2000. 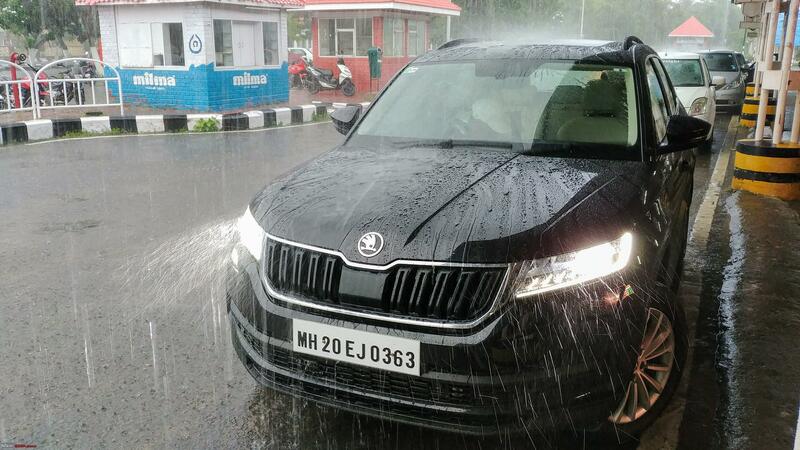 I had bought the Octavia way way back in 2002 when Skoda had started with 3 dealers in all India. Sold in 2007. Never looked back due to poor quality and services. Still the car is great. Last edited by car_crazy1400 : 28th December 2017 at 22:08. The amount of details needed to cover in this review was crazy. 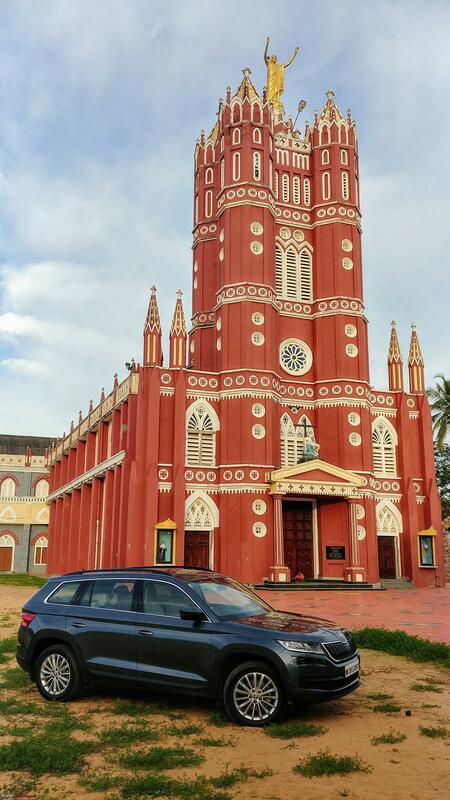 In the short time Samurai and myself had with the car in Trivandrum, there was no way we could cover everything that Omkar has covered since he got the car for a couple of days. Our time with the car was cut short due to a gremlin in the car we were allotted. As soon as I got in for the drive, the car threw up a check engine light! Skoda technicians asked us to carry on as the car was driving fine. However once we started driving we got a call asking us to go to the nearest dealership and get a scan to confirm it was a minor glitch. The car was indeed driving fine. However the dealership was dealing with the Kodiaq for the first time and had to download and send logs. They took nearly 2 hours to try and resolve the light however it never went away. It was something to do with the rail pressure sensor as per my understanding. They obviously didn't reveal a lot about it. That said I really really liked this car. 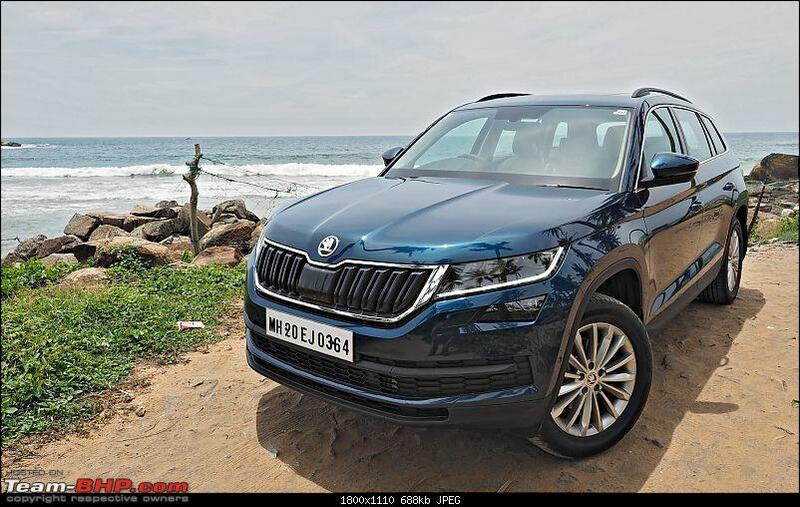 Skoda's after sales reputation and reliability is a big question mark but man oh man this car is so perfect in every way. 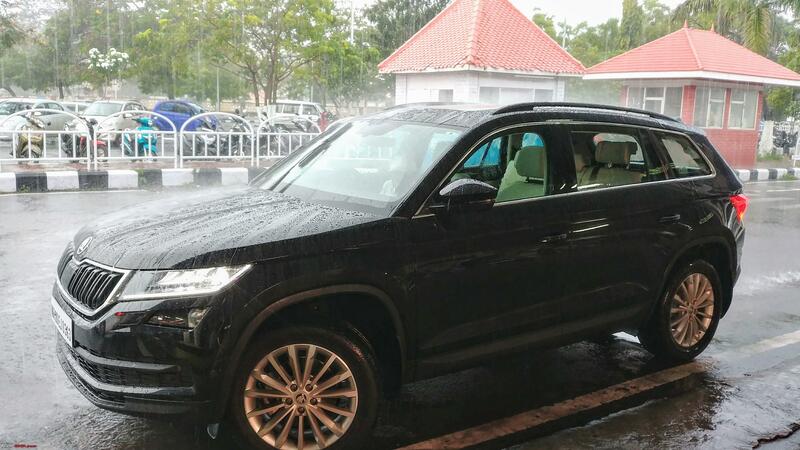 It seriously makes the Tiguan redundant and imo the premium can actually be justified. As others on this thread have mentioned, it makes a GLC, Q5 and even a Disco sport over priced. If you are not particular about the brand badge on your car this car is as good as any of them is not better. If I was in the market for an upgrade I would buy this in a heartbeat. I was close to getting one however unforeseen circumstances meant I had to cancel any new car buying decision for sometime. 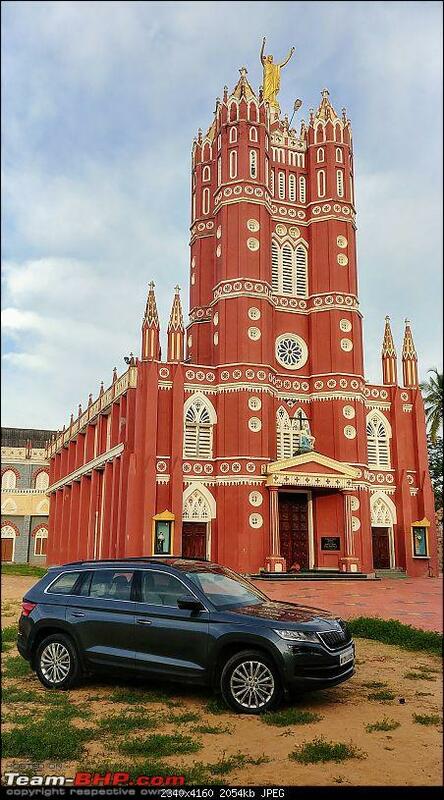 Here's a few pics Samu and I took from Trivandrum. This is by far the best detailed review anyone can find on the forum today. Classic example of pure EYE FOR DETAIL! A big round of applause for gathering tiniest of details in the car. You applauded the engineers for including fuel station suggestion during low fuel state, I appreciate you for bringing this tiny yet effective detail out on this review. My observation reveals, atleast everyone who’ve commented on this thread has expressed concerns on the brand itself rather than the car it builds. 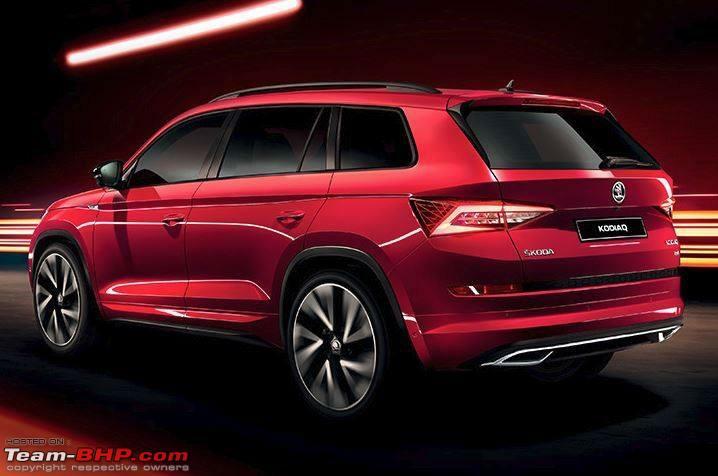 Purely the perception created by Skoda! 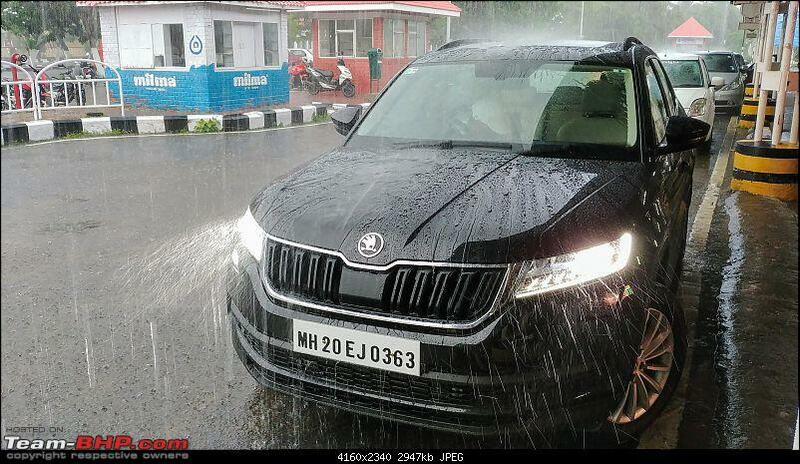 Way to go Skoda. Your cars have gatherers whilst you are ready to crush the party easily. There are good cars, there are bad cars. There are good brands, there are bad brands. But you Skoda, you have a bad brand name with good car lineup. Hope you realize before it’s too late. Last edited by gururajrv : 29th December 2017 at 04:46. 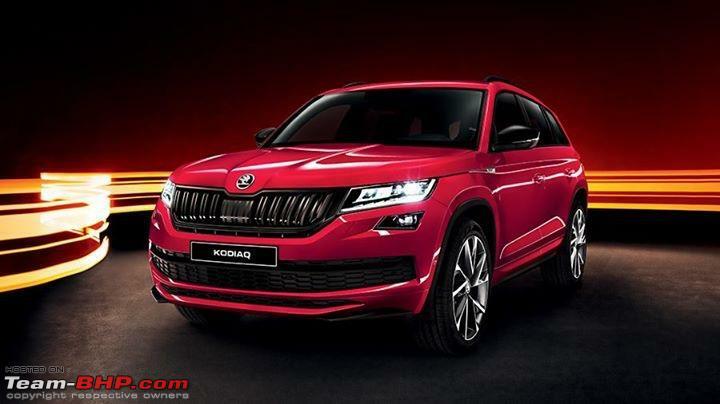 Skoda Kodiaq Sportline being launched in January 2018 and comes in a 190 PS state of tune with the TDI engine. Hope Skoda brings this here too. Last edited by AMG Power : 29th December 2017 at 22:34. 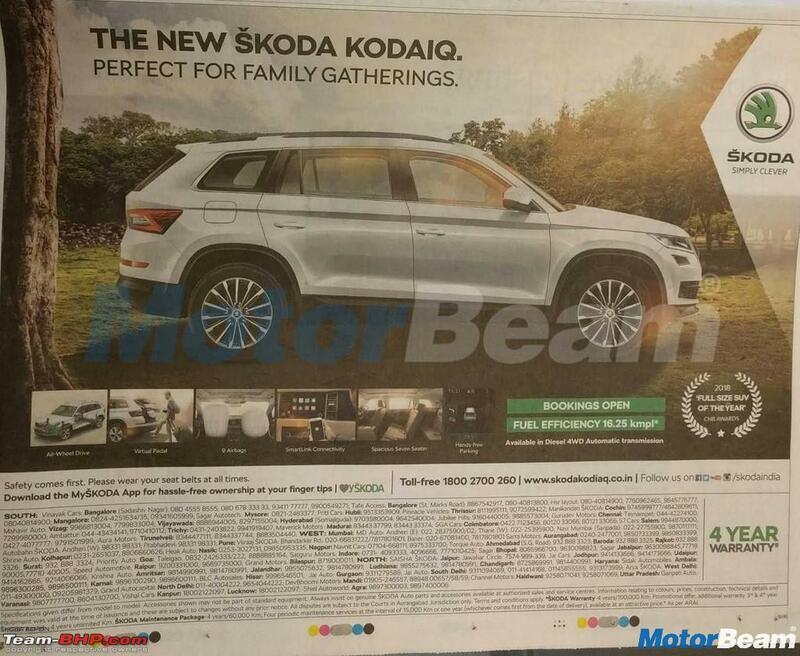 The Skoda Kodiaq has been misspelled as Kodaiq in a newspaper advertisement. The advertisement, reportedly, had appeared in the December 22nd edition of The Hindu. The engineering team clearly has an eye for detail, but not the marketing team? Last edited by Dr.Naren : 30th December 2017 at 19:57. Hats off to the review team. The attention to detail in the car is matched by the attention to detail in the review. Skoda really has a winner in its hands. A car like this has huge potential in our market full of potential SUV converts. A lot people wanting to upgrade from C+, D- and D segment sedans find the leap to proper luxury SUVs too big to make and instead settle for products like the rugged Fortuner or the van like Innova Crysta. Something like the Kodaiq is ideal for such an audience. 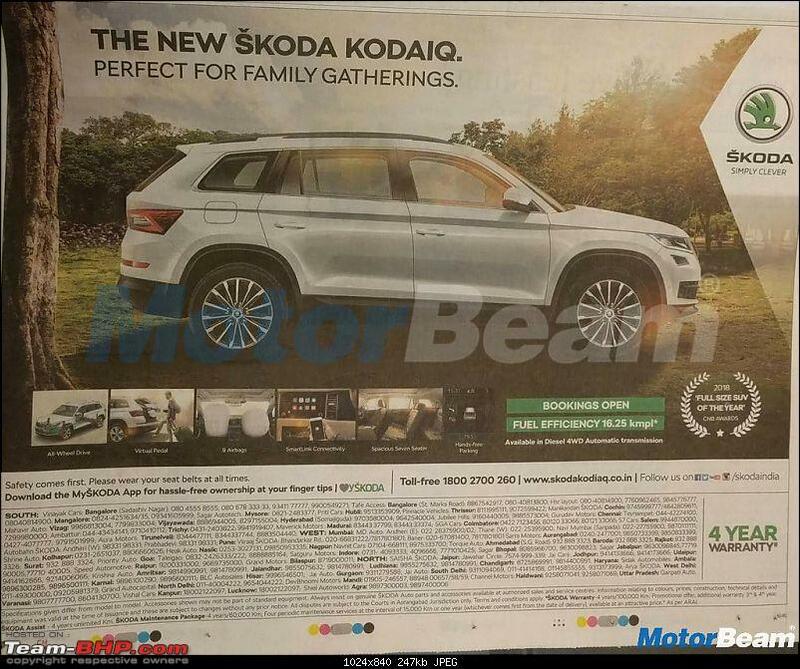 From the pricing it looks like Skoda India does not expect allocation of large number of kits. Understandable, given that Kodiaq is a hit everywhere else too. My biggest grouse is the 148 hp engine tune and that one point is a deal breaker for me. No amount of convenience features can make up for lack of power as far as I am concerned. At this price point 170+ bhp is mandatory, at least on paper . In the real world it may not really matter for a majority of buyers out there of course. 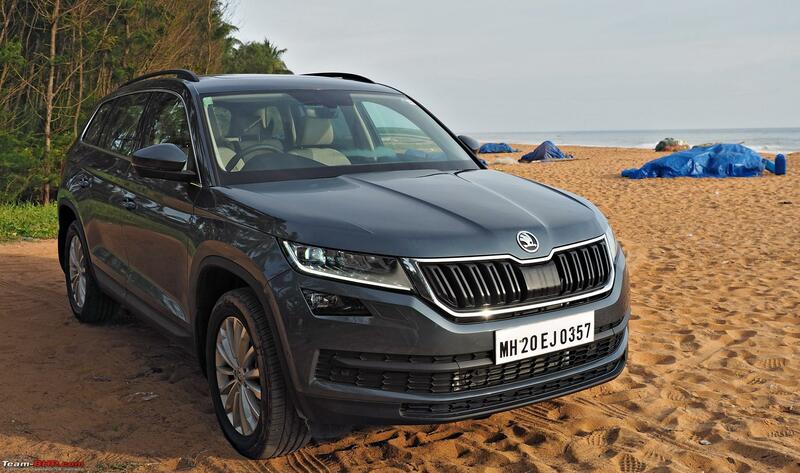 As a product, I feel the Kodiaq is so good that previously battered and bruised Skoda customers may well get pulled back to Skoda showrooms with cheque book in hand!! Last edited by Santoshbhat : 30th December 2017 at 20:52. 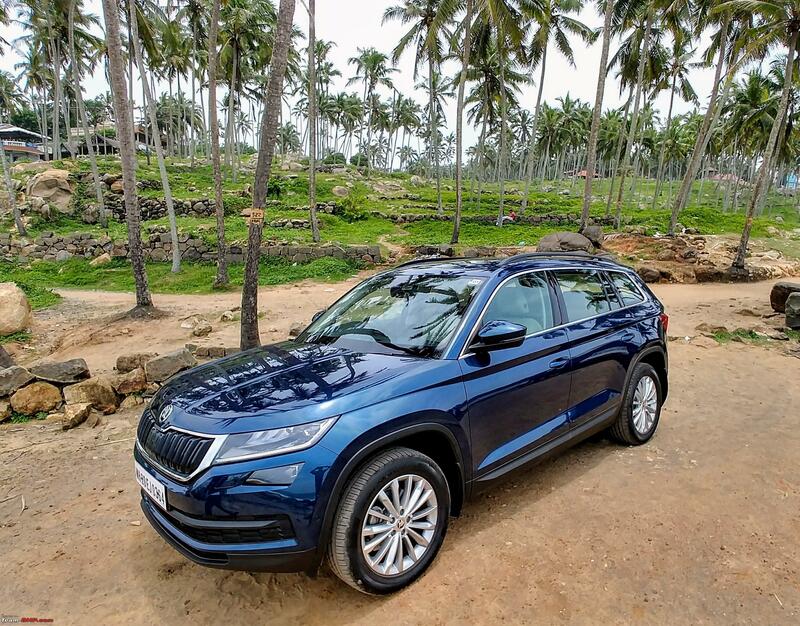 I got to see a white Kodiaq in flesh when I was at Hampi a week back. Frankly speaking the car did not look like a 40 lac ride. Neither did it have the road presence of a SUV that one would expect. The Tiguan on the other hand feels special. It feels like an expensive car and makes even the X1, Q3 look cheap. I haven't driven both nor have seen the interiors hence cannot comment from that aspect. While the Kodiaq appears as a good all rounder-brand, reliability and A.S.S that car comes with, I can foresee a bigger Yeti in the making. I had a chance to checkout the Kodiaq the other day. A close friend is in the market for a burly SUV and is inclining towards the Endy/Fortuner. 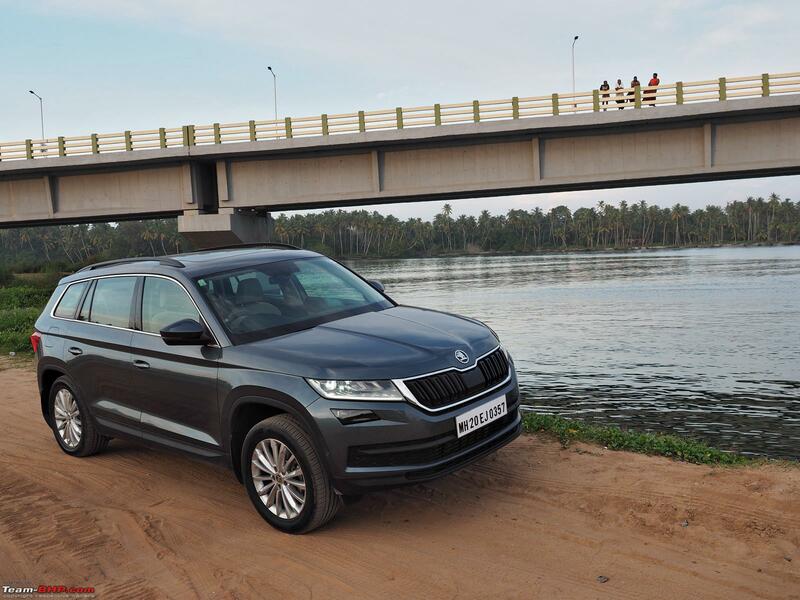 However, since he was impressed by the Tiguan so we went to Test Drive the Kodiaq as well. Everything is covered in the review in great detail. The engine has adequate performance but during occasional spirited driving sessions, it might feel inadequate. Probably a remap will help for the power-hungry folks out there. I really loved the rear headrests with integrated pillows (if I can call it that !). Neat and functional ! 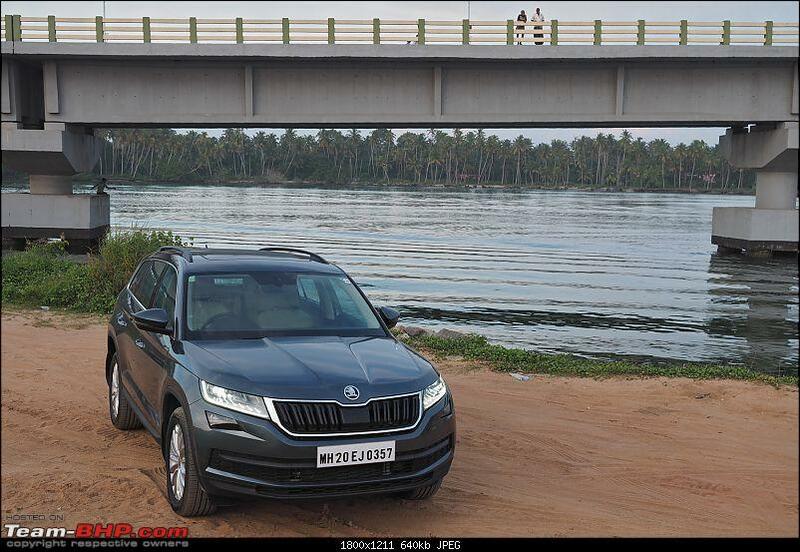 Overall a very impressive product from Skoda, however it lacks presence. I am hoping the Karoq will have better presence as it feels more proportionate than the Kodiaq. Skoda is really upping the ante now with their new products. Hope the service/aftersales match up to that level soon.